Two of these white-coated, woolly-furred prosimians were captured and photographed by a Mr T.D. La Touche of the Geological Survey of India during December 1889 (though not documented until 1908), in the jungle near Fort Lungleh in Assam's Lushai Hills, during the Lushai Expedition of 1889-90. However, they escaped shortly afterwards, and were not recaptured. 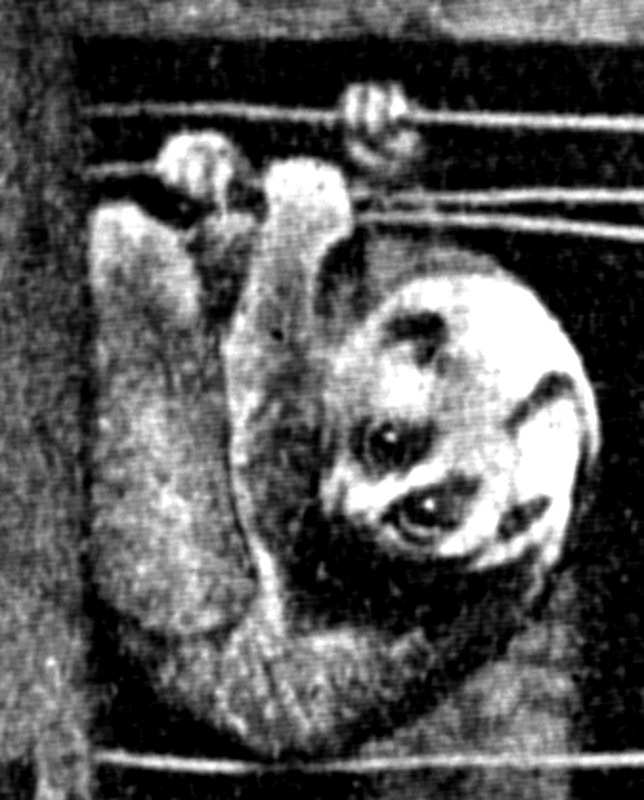 Overall, they seemed akin to the familiar slow lorises of the genus Nycticebus, as they possessed short but stout limbs, a large rounded head, flat face and small muzzle, short roundish ears, large eyes each encircled by a dark triangular patch, and a narrow black stripe running from the skull's occipital region along the entire length of the back. 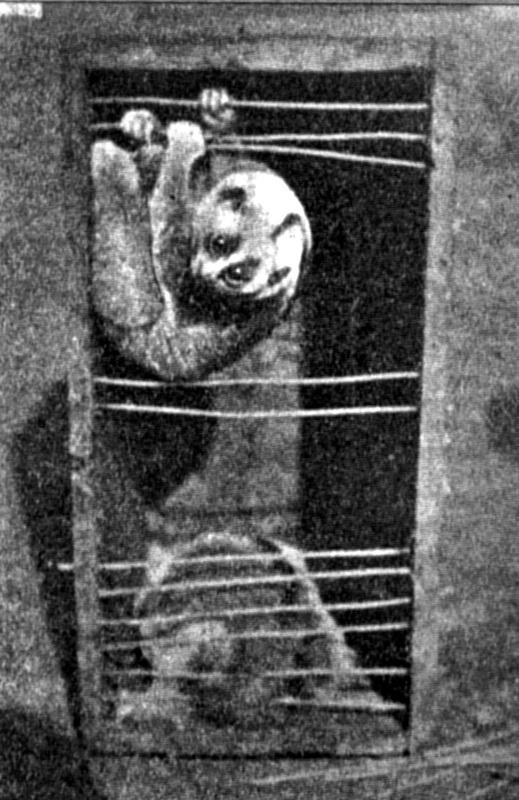 However, as clearly revealed in the photograph opening this present ShukerNature blog post, and which originally appeared in a short article by Dr Nelson Annandale, Superintendent of the Indian Museum, documenting them in the Proceedings of the Zoological Society of London for 17 November 1908, the remarkable loris form represented by these two briefly captive specimens differed dramatically from all other lorises in one very conspicuous way - it had a thick bushy tail! 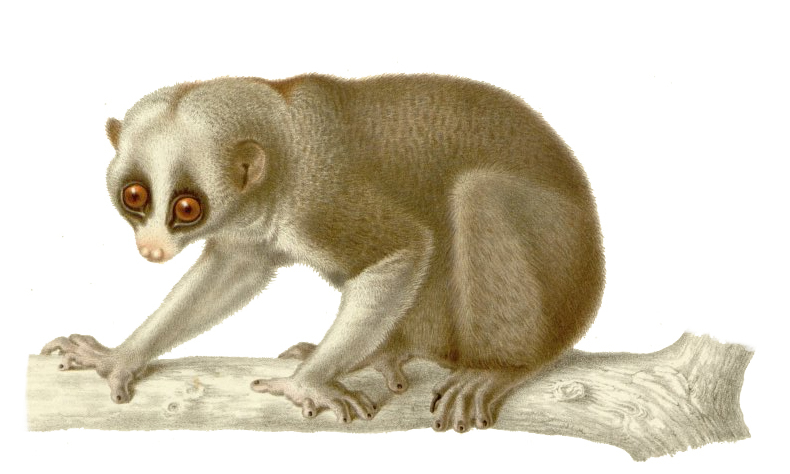 In stark contrast, the tail of all known species of slow loris is vestigial. Consequently, unless it is a teratological, freak variety of the Indian slow loris N. bengalensis, the tailed slow loris of Lushai Hills constitutes a radically new species of slow loris still awaiting official recognition - for which, in my book, The Lost Ark: New and Rediscovered Animals of the 20th Century (1993), I proposed Nycticebus caudatus ('tailed slow loris') as a suitable name. 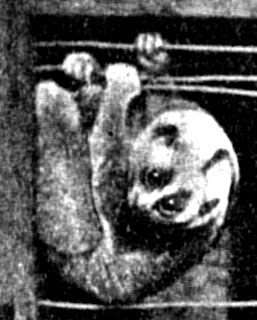 Perhaps the greatest riddle of all, however, is why such a visually distinct form of loris has apparently never been reported since the 1908 PZSL account's 1909 postscript, not even by local Indian naturalists who would surely have been fascinated by such a creature. Judging from Col. Loch's statement that it was well known to him, the two captured specimens were not the only ones that existed back in the early 20th Century, so what has happened since then - has this unique form died out? 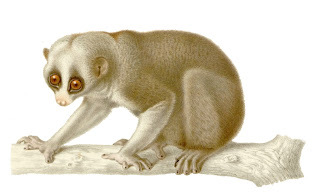 Clearly, the mystery of the tailed slow lorises of the Lushai Hills endures, even if, tragically, the lorises themselves no longer do. TRAILING THE MITLA – A DOG-LIKE CAT, OR A CAT-LIKE DOG? 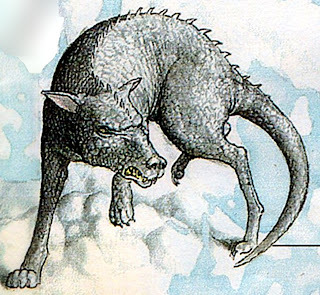 "In the forests were various beasts still unfamiliar to zoologists, such as the mitla, which I have seen twice, a black doglike cat about the size of a foxhound." 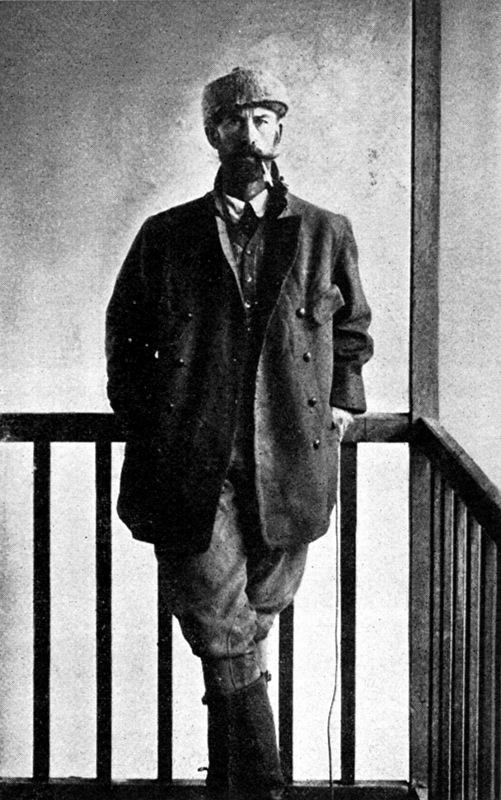 American zoologist and cryptozoologist Ivan T. Sanderson claimed that during an animal collecting trip to South America, he had unsuccessfully attempted on several occasions to shoot one of these creatures, but had obtained a legless native skin of one, which he likened to that of a huge black serval with pricked ears and tiny lynx-like tail. Regrettably, however, he did not mention what happened to this cryptozoologically priceless skin afterwards. 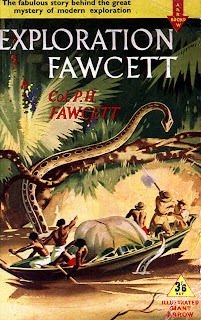 "By the time we paddled our way across the confluence of the Abuna with the Madeira...I recognised that I had not thrown any further light on the question of whether Colonel Fawcett’s legendary animal had ever existed or not. Perhaps the mitla had been nothing more than a melanistic form of one of the several species of South American tiger cats or, as has been suggested, the black form of the jaguarundi which can grow to about the size of a foxhound and could, to a non-zoologist, appear to be half-dog, half-cat. 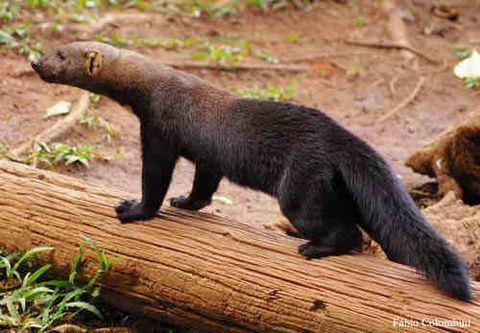 Both Señor Carlos and Professor Gaston Bejarano had confirmed that the black form of the jaguarundi occasionally occurred in the north-eastern regions of Bolivia. However, I had learnt one important fact from my travels in this great integrated region of rivers and forests: that while these remoter areas of the Amazon basin still remain in existence, the forests could well harbour such animals as the mitla that are still strange to science, but it would only be by chance if their presence ever came to light." 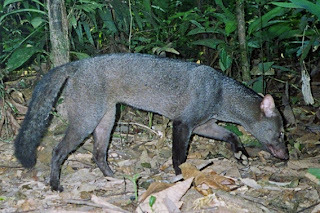 Some reports may indeed involve dark individuals of the jaguarundi Puma yagouaroundi, or even a strange sometimes-black relative of weasels called the tayra Eira barbara. However, retired Chicago University biologist and spare-time cryptozoologist Dr Roy P. Mackal favours the South American bush dog Speothos venaticus as a likely identity – thus proposing that the mitla may not be a dog-like cat, but rather a cat-like dog. 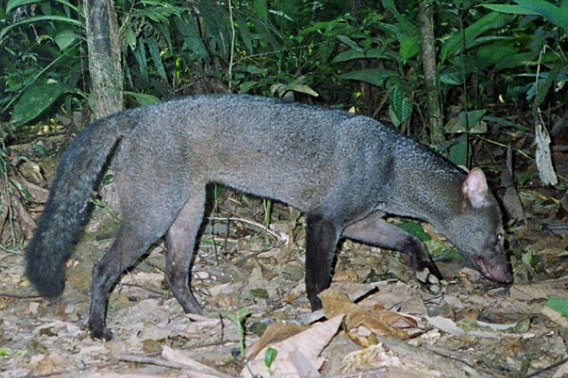 This species is a savage, pack-hunting canid, native to Guyana, Brazil, Paraguay, Bolivia, Peru, Colombia, and Panama. 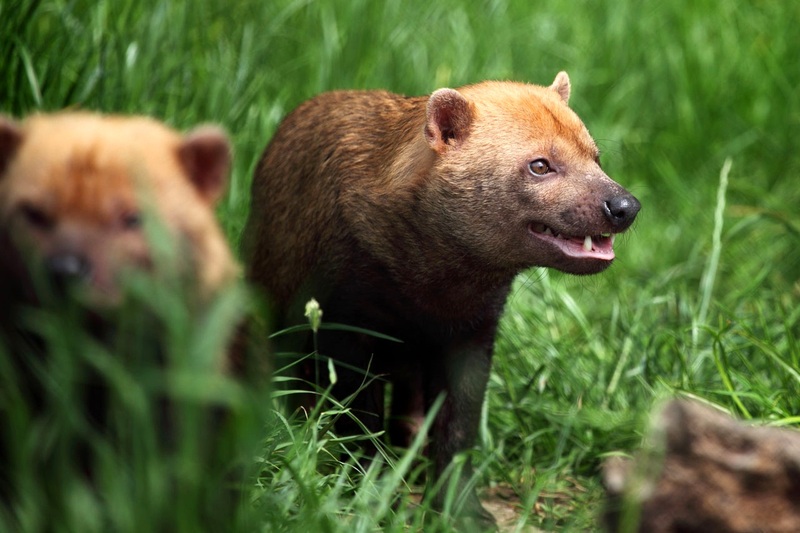 Having said that, however, the bush dog is reddish-brown in colour, not black, as described for the mitla (though juvenile bush dogs are indeed uniformly black). Moreover, it is relatively short-legged, not recalling the foxhound comparison given by Fawcett for the mitla. In any case, if the mitla is truly a feline canid rather than a canine felid, in my view there is an even better candidate for it, as I first proposed in my book Mystery Cats of the World (1989). 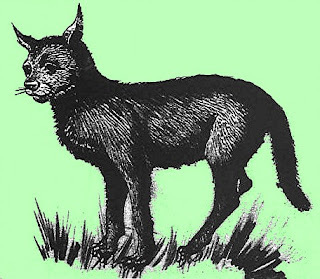 Namely, the small-eared dog Atelocynus microtis, also called the zorro. This little-known, dark-furred species has occasionally been exhibited in captivity, and is characterised by its remarkably gracile, feline gait - far-removed indeed from the more boisterous, less agile movements of most dogs. Until recently, the zorro had not been reported from Bolivia itself, but was known to occur in various of Bolivia's neighbouring countries. And as it has never been well-studied in the wild, it would not be too surprising if the zorro were formally discovered in Bolivia too at some stage in the future - a prediction supported by this species' compelling correspondence to descriptions of the mitla. And sure enough, a reliable observation of the zorro in northern Bolivia at 14°25'47.9994"S, 63°13' 47.9994"W by biologist R. Wallace has lately been recorded. 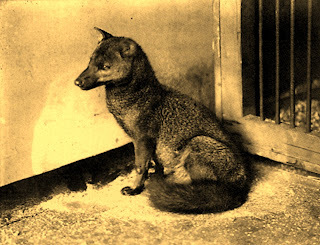 This constitutes its species' most southerly record, in fact, and is in close proximity, moreover, to the Madidi where Fawcett reported the mitla – thereby enhancing the prospect that zorro and mitla are one and the same creature. 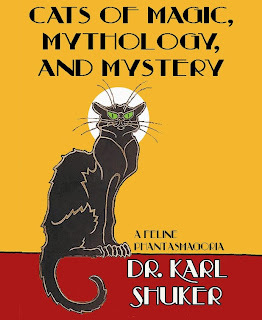 This ShukerNature blog post is an expanded, adapted excerpt from my latest book, Cats of Magic, Mythology, and Mystery (CFZ Press: Bideford, 2012). 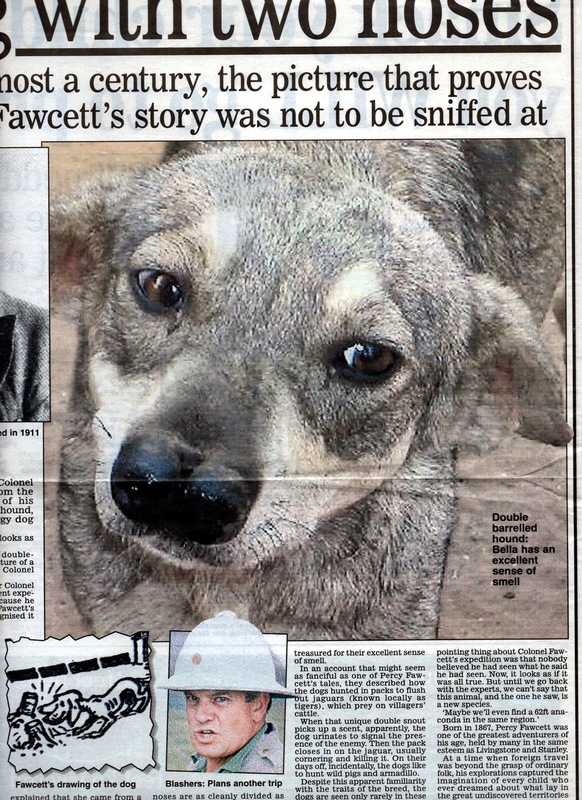 FAWCETT'S DOUBLE-NOSED ANDEAN TIGER HOUND - A CANINE ANOMALY NOT TO BE SNIFFED AT! 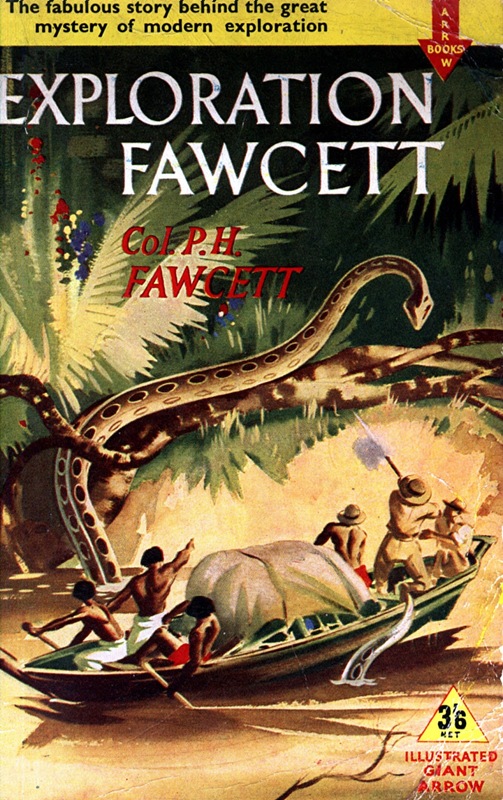 Exploration Fawcett (1953), compiled from the field notes of the famous lost South American explorer Lieutenant-Colonel Percy Fawcett by his son Brian, includes tantalising snippets concerning a variety of seemingly undescribed species, such as a Bolivian dog-like cat (or cat-like dog?) 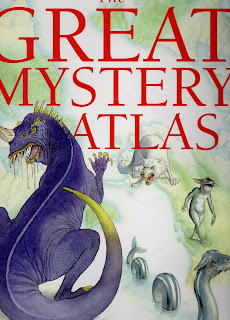 called the mitla (click here for more details), and a giant toothless river shark (possibly a huge catfish? 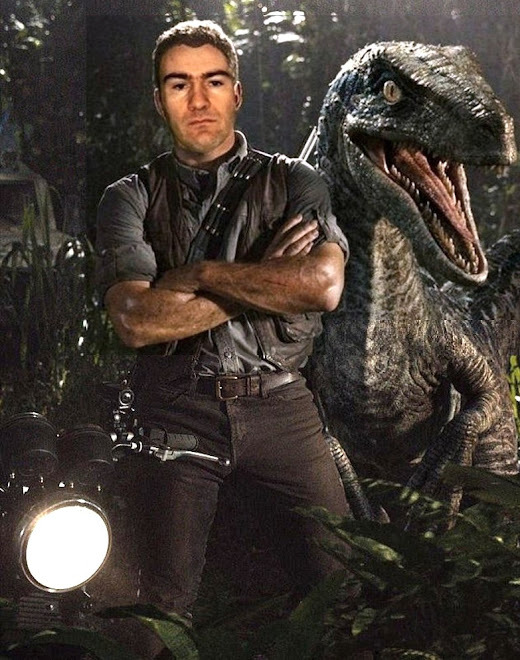 - click here), plus vague mentions of swamp-dwelling relics of the dinosaurian age (click here). 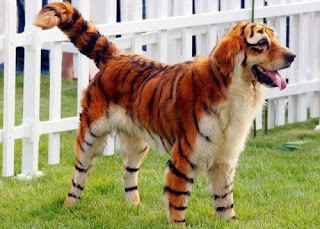 Here we saw for the first and only time a breed of dog known as the Double-Nosed Andean Tiger Hound. The two noses are as cleanly divided as though cut with a knife. 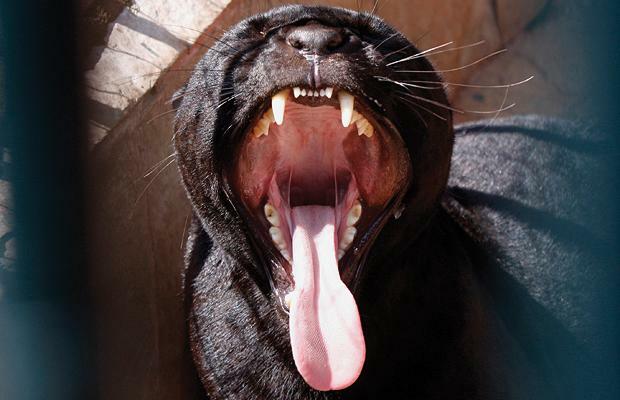 About the size of a pointer, it is highly valued for its acute sense of smell and ingenuity in hunting jaguars. It is found only on these plains. 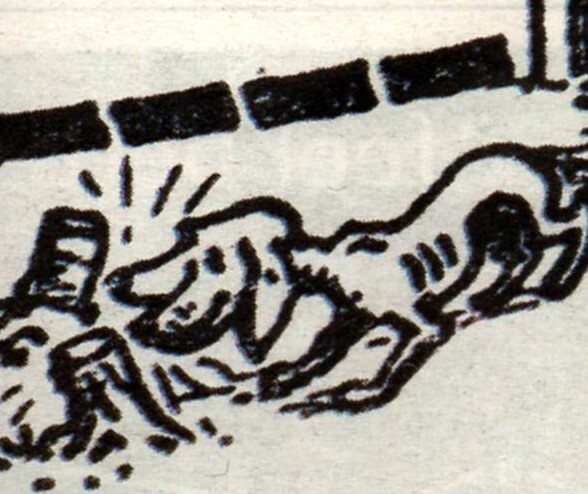 Otherwise, this twin-snouted canine curiosity was duly forgotten - until almost a century later, when, as reported in London’s Daily Mail newspaper (10 September 2005), modern-day explorer Colonel John Blashford-Snell spied a remarkably similar beast while recently leading an expedition through the very same area. 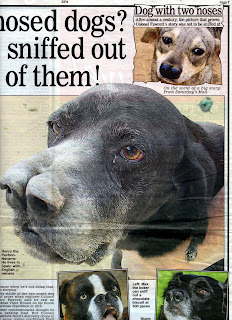 While staying at a remote village there, he saw a dog whose nostrils were set totally apart from one another, like the barrels of a double-barrelled shotgun. Making enquiries, he learnt that this dog, called Bella, was not a deformed specimen but one of a distinct, highly-prized, but nowadays rare breed in this area, which was referred to by the same name that Fawcett had recorded - the double-nosed Andean tiger hound ('tiger', incidentally, is a term that in Latin America refers to jaguars). Photos of Bella brought back by Blashers attracted such interest from Dr Tito Ibson Castro, president of the Bolivian Veterinary Association, that a sequel expedition was duly planned, to obtain genetic material and thus determine the origin and relationships to other dog breeds of this dual-nosed wonder. And so it was that during summer 2006 Blashers returned to Bella's village. 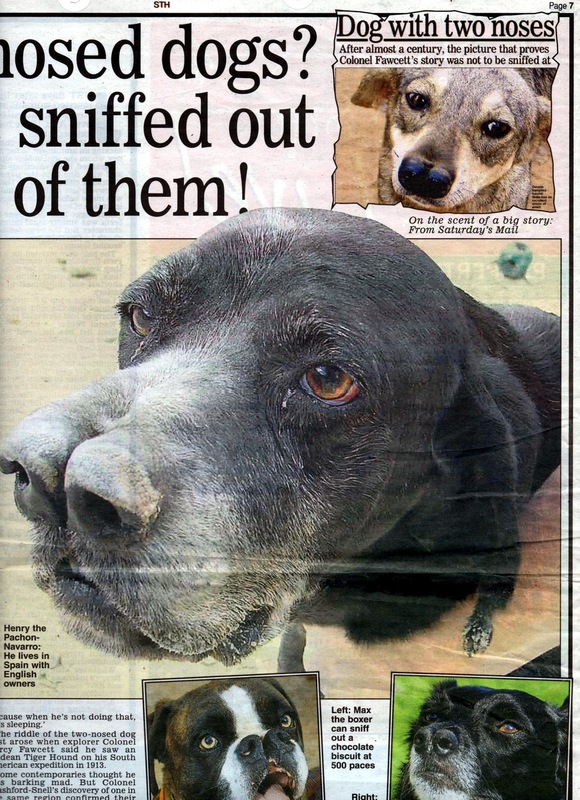 As reported in a Daily Mail article of 25 September 2006, however, he was greatly saddened to learn that Bella had died after having given birth to a litter of four pups (all split-nosed), sired by a normal unsplit-nosed dog. 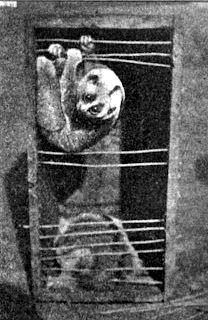 Moreover, three of these pups had also died, but he was delighted to discover that the fourth, a male, had survived and was now a healthy 10-month-old, whom Blashers dubbed Xingu after the lost city that Fawcett had vainly sought. For a photo of Xingu, click here. Worthy of note is that Xingu in turn sired a litter of four pups, whose mother had a normal, unsplit nose. Two of the four pups were split-nosed, and both of these died after three days; the other two were normal, and both of those survived. 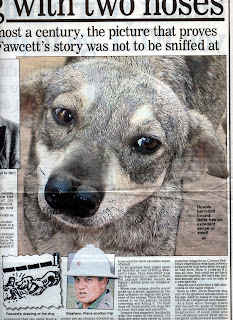 Interestingly, a few days after newspaper accounts of Bella had appeared in Britain, the Daily Mail (17 September 2005) published a follow-up feature containing photos of other, putative Bellas sent in by readers. The most noteworthy of these was a photo of Henry, a Pachon-Navarro. This rare Iberian breed, related to pointers, is characterised by a very unusual skull, formed into two separate channels with a ridge wide enough for human fingers to be placed inside. Intriguingly, split-nosed Spanish pointers were taken to Latin America by the conquistadors during the 16th Century. 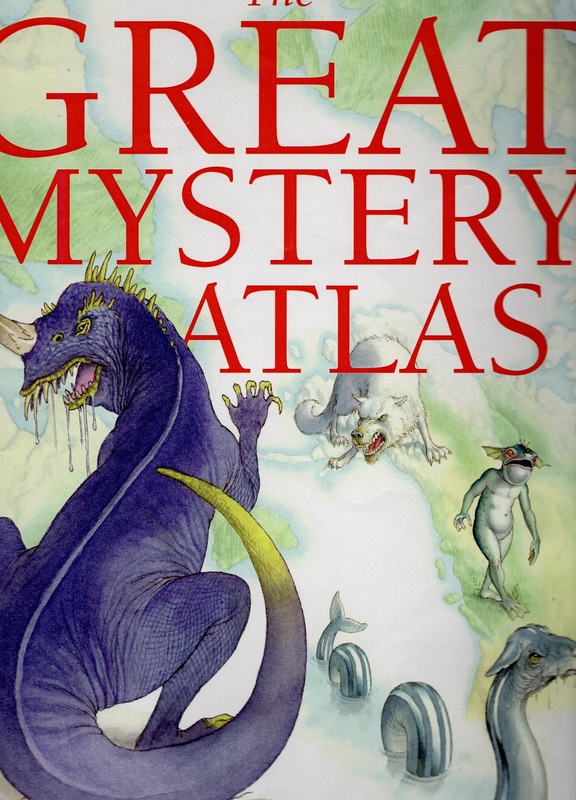 So perhaps Henry and Bella have a common ancestor, not just an uncommon nose. In the forests of the dark. That pats his head and throws him sticks? 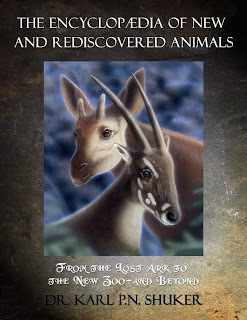 This ShukerNature post is an expanded, updated excerpt from my book Extraordinary Animals Revisited (CFZ Press: Bideford, 2007). Moreover, to my eyes this snarling/yawning cat looked far more like a black (melanistic) leopard than any puma (black or otherwise), especially in relation to the large size of its upper canines (even though they were partly obscured by the cat's upper lip). As can be seen from its Flickr page, this photo has been entitled 'Puma'. 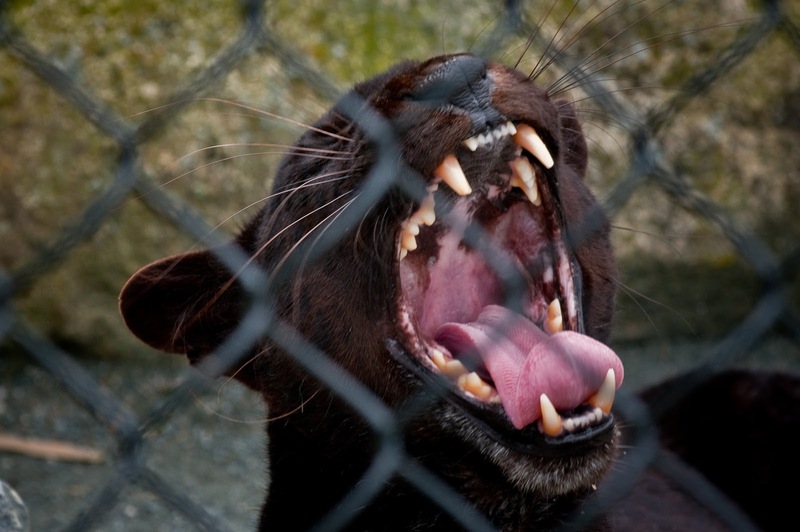 However, the first three tags that Mr Druker has applied to the photo are 'puma', 'panther', and 'black panther'. This immediately suggested to me an explanation for what until now had seemed an extraordinarily perplexing situation – after all, had this cat truly been a black puma, its extreme rarity would have ensured its being exceedingly famous worldwide, surely? However, the tags suggested otherwise. In the UK and mainland Europe, the term 'black panther' (indeed, often simply 'panther' alone too, nowadays) is applied almost exclusively to the melanistic or so-called black (in reality, extremely dark brown) morph of the leopard Panthera pardus. In North America, conversely, it can also be applied to melanistic specimens of the jaguar P. onca and to putative (albeit currently unverified) melanistic specimens of the puma Puma concolor. 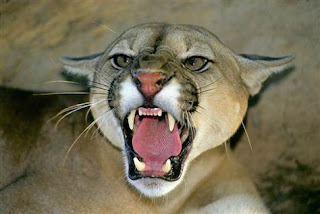 Even the term 'panther' is in North America an alternative term for the puma (as too are 'painter', 'cougar', 'catamount', and 'mountain lion'). Could it simply be, therefore, that this cat had been labelled a 'black panther' at the Preserve, and that the photographer had been wrongly informed or had mistakenly assumed that it was therefore a black puma – when in reality it was merely a black leopard? I posted enquiries concerning the photo on Facebook, and received many suggestions from a number of FB friends, some of whom even attempted to contact the Preserve directly via phone using the phone number on its website, but the number was not currently in use, and there is no email contact address either. Its website's information does include mention of normal pumas maintained there, but nothing whatsoever about any black or dark puma, which, as already noted, would certainly be expected if so rare and exotic a felid as that were truly present there. 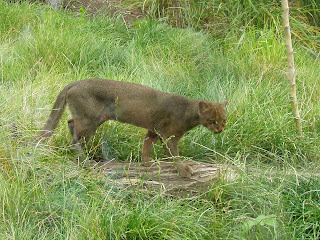 Some of my FB colleagues favoured a jaguarundi Puma yagouaroundi as a possible identity for the photographed cat. Yet whereas this species does possess a dark grey colour phase, I have never seen a specimen as dark as the photographed cat, and the latter's face did not seem reminiscent of a jaguarundi's to me. The jaguarundi has a very distinctive, unusually broad nose, which the photographed cat does not have, and the latter's fur is uniformly dark, whereas the fur of the dark grey phase of the jaguarundi is visibly ticked. 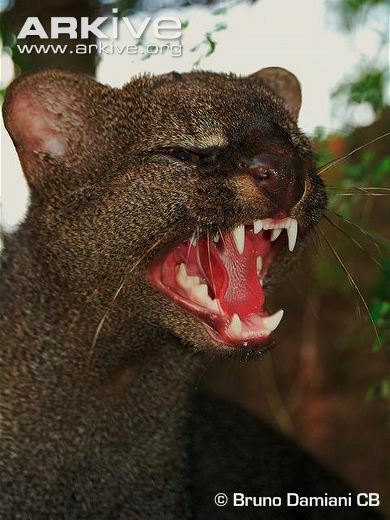 Consequently, as far as I was concerned the cat in the photo was not a jaguarundi. But what was it? My investigation seemed to have reached an impasse. There could no longer be any doubt. The black/dark puma in the photograph was a puma no longer, but merely a black leopard – the unsuspecting victim of a melanistic misidentification caused by an ambiguous term, 'black panther'. NB – The photograph of the erstwhile melanistic mystery cat snapped by Leo Druker is included here on a strictly fair usage basis, for review purposes only, not for any commercial gain whatsoever; and it is copyrighted to Mr Druker. My thanks to Loren Coleman, Raven Meindel, BCIB, and all of the many other Facebook friends who so kindly volunteered information, opinions, and assistance in relation to my investigation of this photograph. Sorry it's taken me a while to respond - I very rarely check my mails here on Flickr. I'm almost positive that this was, as you inferred, a black leopard. I have no reason to think that the Kisma Preserve would have a black puma, especially one that is as rare as you have said, without the world at large knowing all about it. This noteworthy email from the photo's own photographer - many thanks indeed, Leo, for kindly responding to my enquiry - is surely enough for the case of the black puma that never was to be firmly put to rest for good. 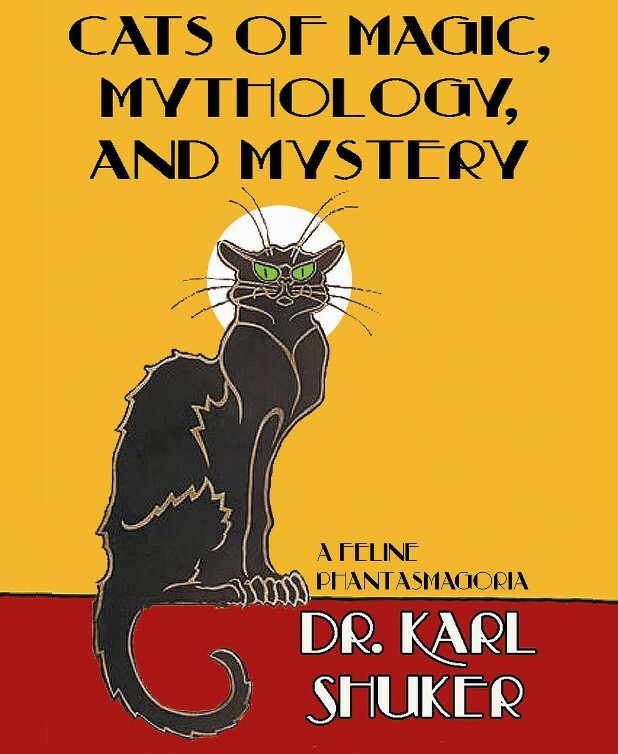 For more information regarding black pumas, check out my latest book, Cats of Magic, Mythology, and Mystery (CFZ Press: Bideford, 2012). Here's the latest in my occasional series of ShukerNature cryptozoology articles re anomalous and controversial chimpanzee forms (click here for my account of the pygmy chimpanzee or bonobo, here for the koolookamba, here for Ufiti, and here for 'apeman' Oliver). Until quite recently, even amid the many remote regions of darkest Africa, the possibility of an unknown form of anthropoid existing there yet still eluding scientific recognition seemed ludicrous - but then came the Bili (aka Bondo) ape. The saga of this remarkable, highly controversial primate began more than a century ago, when in 1898 a Belgian army officer returned home from what is now the Democratic Republic of Congo with some gorilla skulls obtained by him in a forested region near the village of Bili, on the Uele River in northern Congo's Bondo area - even though no other gorillas had been found within hundreds of miles of Bili before (or since). He donated them to Belgium's Congo Museum in Tervueren, where in due course they were examined by its curator, Henri Schouteden. He was sufficiently struck by their anatomical differences from other gorilla skulls as well as by their unique provenance (roughly halfway between the extreme edges of the western and eastern distribution of any gorilla populations) to classify them as a new subspecies of gorilla, which he dubbed Gorilla gorilla uellensis. Less convinced of their separate taxonomic status, conversely, was mammalogist Prof. Colin Groves, whose examination of these skulls in 1970 led him to announce that they were indistinguishable from western lowland gorillas. 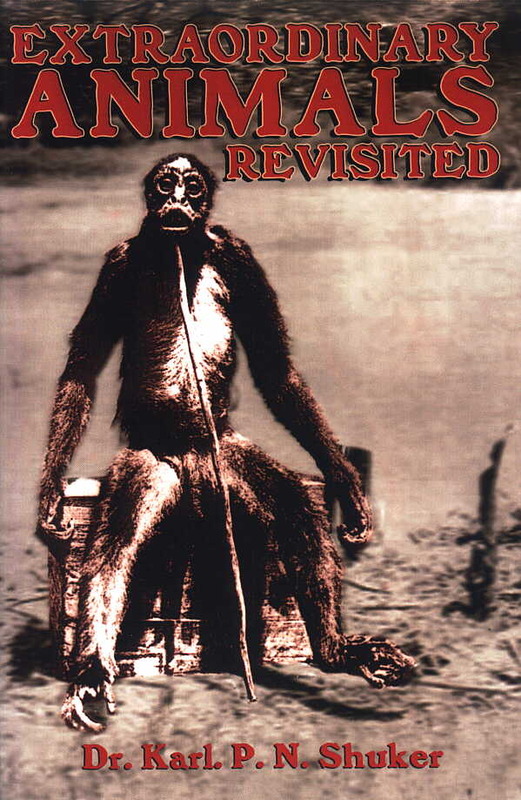 Thereafter, the Bili ape sank back into obscurity - until 1996, when Kenyan-based conservationist and wildlife photographer Karl Ammann, intrigued by its strange history and apparent disappearance, set out on the first of several Congolese quests to rediscover this mysterious primate. And rediscover it he did, bringing back such compelling evidence for its presence that several other notable investigators launched their own searches, and returned with equally fascinating clues concerning the Bili ape's nature. Such researchers included primatologist Dr Shelly Williams from Maryland's Jane Goodall Institute, Dr Richard Wrangham from the Leakey Foundation, Dr Christophe Boesch from Leipzig's Max Planck Institute for Evolutionary Anthropology, Dr Esteban Sarmiento from New York's American Museum of Natural History, and Dr George Schaller from New York's Wildlife Conservation Society. 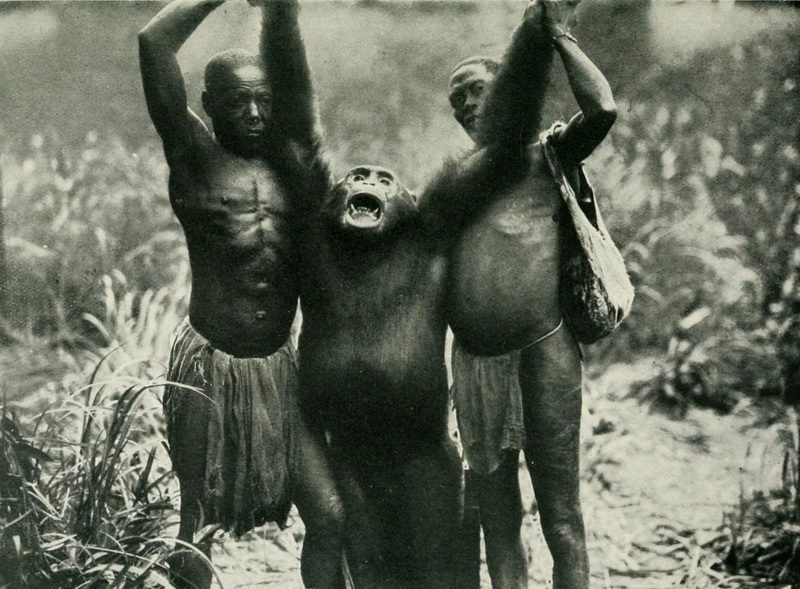 What made their various finds so especially interesting was the ambivalent identity that they collectively yielded for the Bili ape - because, uniquely, it deftly yet bemusingly combines characteristics of gorillas with those of chimpanzees, creating a shadowy anthropoid that is at once both yet neither. For instance: if the Bili ape is a chimpanzee, it is a veritable giant, because videos of living specimens and photographs of dead ones suggest a height of 5-6 ft - a mighty stature supported by the discovery of enormous footprints, some measuring almost 14 in long, and therefore nearly 2 in longer even than those of the mountain gorilla! Also, very large ground nests constructed by Bili apes have been found that compare with those created by gorillas; normal chimps build smaller, tree-borne nests. Further evidence of the Bili ape's great size comes from local Bondo hunters, who distinguish two distinct apes - 'tree-beaters' (normal chimps) and 'lion-killers' (the Bili apes). The latter earn their name from their combined size and ferocity, a mix potent enough to ensure their terrestrial safety even in a jungle profusely populated by lions and leopards. Indeed, so unafraid of these great cats are the Bili apes that according to media claims they hoot loudly when the moon rises and sets - an activity unknown among normal, smaller chimps, who avoid doing so in case they attract predators. However, these latter claims have been denied by Amsterdam University field researcher Cleve Hicks, who spent a year with colleagues tracking Bili apes during from mid-2005 to June 2006, followed by a second study spanning July 2006-February 2007. Particularly noticeable is the presence of a pronounced sagittal crest running along the top of one of the original skulls collected by the Belgian army officer, and also on a Bili ape skull found by Ammann in 1996 - because this crest, normally an indication of powerful jaws as the jaw muscles are attached to it, is characteristic of gorillas, not of chimps. Conversely, the facial anatomy of the Bili skulls is decidedly chimp-like, not gorilla-like. In addition, hair samples taken from Bili ape ground nests have been shown to contain mitochondrial DNA similar to that of chimps, and the fruit-rich content of examined faecal droppings is again consistent with a chimp identity - although, perplexingly, the droppings themselves outwardly resemble those of gorillas. So what is the Bili ape - a gorilla-sized chimp (freak population?/new subspecies?/new species? 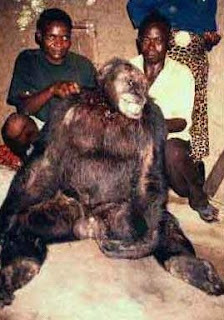 ), an aberrant form of gorilla (freak population?/new subspecies?/new species?) that has evolved certain chimp-like anatomical and behavioural characteristics, or even possibly a genuine chimpanzee-gorilla hybrid? No confirmed crossbreeding between chimp and gorilla has ever been recorded, but the two species are sufficiently similar genetically to engender viable offspring. Mitochondrial DNA is passed down exclusively from the maternal parent, so if such interspecific matings are indeed occurring they must involve female chimps and male gorillas, to explain why the mitochondrial DNA from the Bili ape samples is chimp-like. Happily, however, the Bili ape's identity was eventually unmasked. Comprehensive DNA analyses, including nuclear DNA (thus shedding light on both the maternal and the paternal lineages of the Bili ape), had been underway since autumn 2003 at Omaha's Henry Doorly Zoo, under the auspices of conservation geneticist Dr Ed Louis, and involving DNA comparisons with gorillas, chimps, and also bonobos (pygmy chimps). So too had analyses of mitochondrial DNA taken from faecal samples conducted by Dr Cleve Hicks and other Amsterdam University colleagues, who had also examined these primates' behaviour in the field. And in 2006, this latter team announced that their findings all confirmed that the Bili ape belongs to a known subspecies of chimp – the eastern chimpanzee Pan troglodytes schweinfurthii. Presumably, therefore, the Bili ape's very distinctive morphological features have evolved through its population's isolation from others of this subspecies but involve relatively little change at the genetic level. After years of mystery and intrigue, the riddle of the Bili ape had at last been solved. This ShukerNature post is excerpted from my book The Encyclopaedia of New and Rediscovered Animals (Coachwhip: Landisville, 2012).